A BRAND NEW COVER STORY! . . .Three seven-letter words that perfectly describe the cover of my new book, cover artwork created by illustrator Helen Crawford-White and the fabulous design team at Macmillan Children’s Books. But wait! That’s just the fabulous FRONT cover. This cover is actually much more than that . . . this cover goes on and on, it wraps around the story. Just when you thought the cover of ‘Smart’ was the best thing you’d seen, feast your eyes on this . 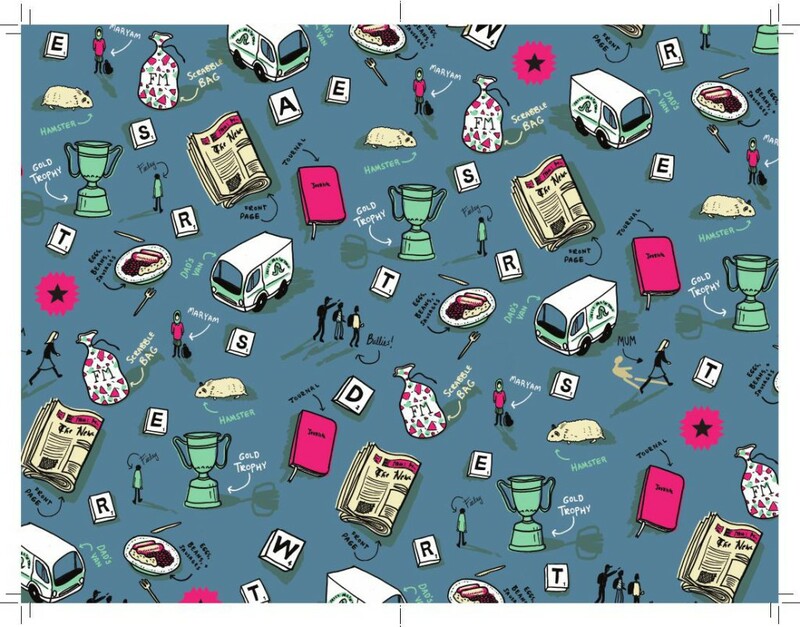 . .
Not only have we got a fabulous cover, we have stupendous END-PAPERS!! It’s art that just keeps on giving . . . The end-papers cunningly feature key characters and clues to the mystery running through the story. As you can imagine, I am totally in love with its wonderfulness. I’m currently pricing up having the end-papers made up into wallpaper for the WHOLE of our apartment. Well, OK, maybe not the whole apartment but you get my drift. I’m pretty darn pleased. Thank you to my publisher, my editor and to everyone involved in producing such a wonderful cover for my second book. 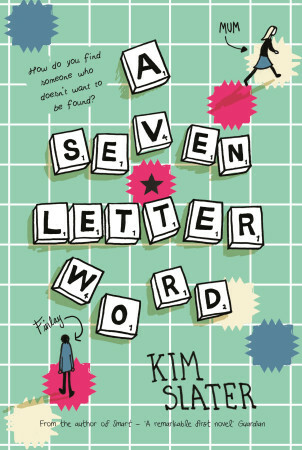 ‘A Seven-Letter Word’ is published by Macmillan Children’s Books on 24th March 2016 and here’s the blurb . . .
Finlay’s mother vanished two years ago. And ever since then his stutter has become almost unbearable.